This is an 18 karat white and pink gold dazzling diamond pendant. It features a 0.22 carat natural pink heart-shaped diamond from Australia in the center, framed by a rose gold thin bezel. The pink diamond heart is surrounded by not one, but two diamond halos. The closest to the center includes 0.20 carat total weight of natural pink diamonds. 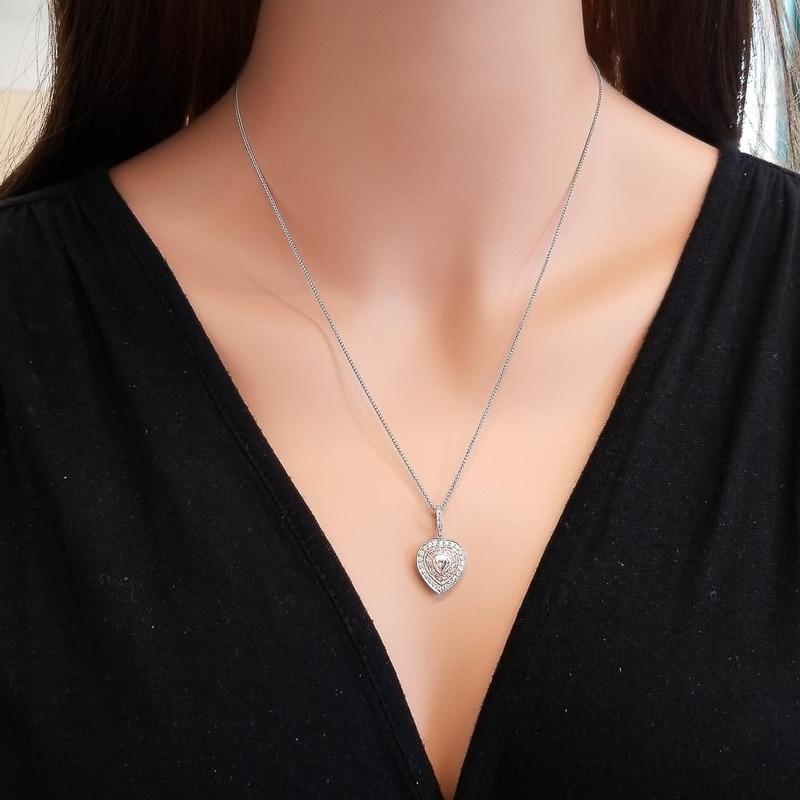 The second halo includes 0.35 carat total weight brilliant white diamonds that travel all the way up the bail � bringing the total weight of the pendant to 0.77 carat total weight. This Pendant accompanies with a 14 Karat, 18 inch bead chain of your choice of Rose gold, White gold, or Yellow gold. Your sweetheart will know just how much she means to you, the moment she opens the box!